The number of data sources has grown massively in the past few years. This includes SaaS applications, API-enabled services, on-premise systems, mobile apps and much more. There are over 150,000 SaaS apps today, a number that has grown 30x in just the past two years. The success of many projects requires surfacing business-critical data to Salesforce. 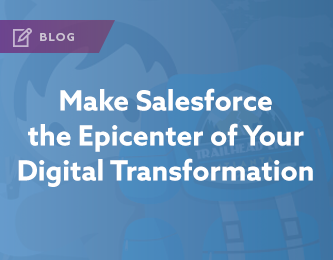 While Salesforce provides an enriching and personalized experience, its value may be limited if companies can’t keep up with competitors or are not agile enough to react to changes in demand. One thing to keep in mind is the importance of digital transformation. How to innovate and more importantly how to do it with Salesforce at the epicenter. provide value to what’s most important, our customers and employees, all while doing this quickly and proactively in an ever-changing ecosystem. So what are businesses to do to stay competitive, create relevancy and not get bogged down with technology that takes a lot of time and resources to implement and thus avoid losing market share? Well, it’s been shown that about 84% of all companies fail in regards to digital transformation since as consumers we don’t even blink an eye at the technology around us. We expect innovative products to interact with us seamlessly so that we don’t even notice it really. However, the matter of fact is that in business although we talk a lot about leveraging technology, we don’t really use much of the technology the way it was designed. The main reason for this is that much of data is hard to expose across systems. Too much time is spent creating custom applications to support specific needs. Instead of investing too much time, resources and money by building apps from scratch, businesses can re-use applications that already exist, while also taking advantage of newer technologies that could provide further benefits. So what does that mean for businesses? It’s simple – stop writing apps, instead start composing apps. On the other hand, composition of platforms makes it is easier for businesses to provide a seamless experience for customers. Let’s think about just how many platforms an enterprise company may use for their different departments including, Sales, Marketing, Finance, Human Resources. If these platforms were not tightly integrated it would make it extremely difficult to make insightful decisions on how to best serve the customer and could result in data duplication or even erroneous data across various systems maintained by these departments. Clearly, a business would benefit immensely if customer data across these platforms was entirely visible across the business. Businesses can no longer afford data silos. They need to have a well integrated tech stack in order to deliver the best possible experiences for their customers, employees, and partners by sharing relevant and insightful data. This is possible only by having a real-time integration platform that could enable users to easily expose and connect data from the various sources via integration and APIs. Jitterbit focuses on making Salesforce the nucleus for your data. 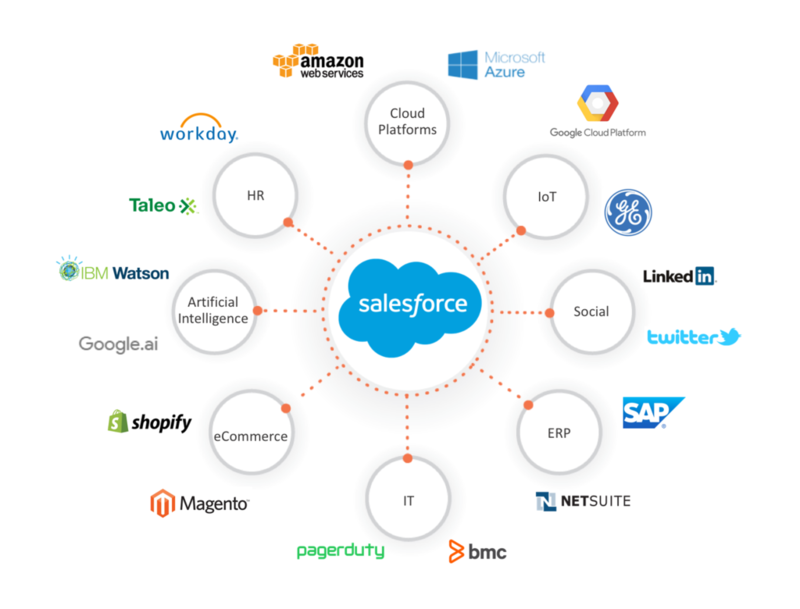 With the Jitterbit Harmony API Integration Platform connecting all your disparate business systems to Salesforce is quick and easy. Moreover, Jitterbit Harmony enables you to connect to Salesforce intelligently by leveraging fast and reusable integration recipes & APIs. Instead of using multiple technologies for different integration patterns, businesses can leverage Jitterbit Harmony platform to support simple to complex integration patterns, from Data Loader to API-based real-time integration. Jitterbit Harmony provides a single experience that empowers citizen integrators to deploy recipes, IT and Product teams to create new APIs with just a few clicks, and deep “low code” scripting for developers that want to unleash the power of the platform. Moreover, a single user could do all of these things so you could do more with fewer resources. Contact us to learn more about how your business can benefit by utilizing the power of Jitterbit API Integration Platform. Editor’s note: This post was originally published April 2018 and has since been updated.